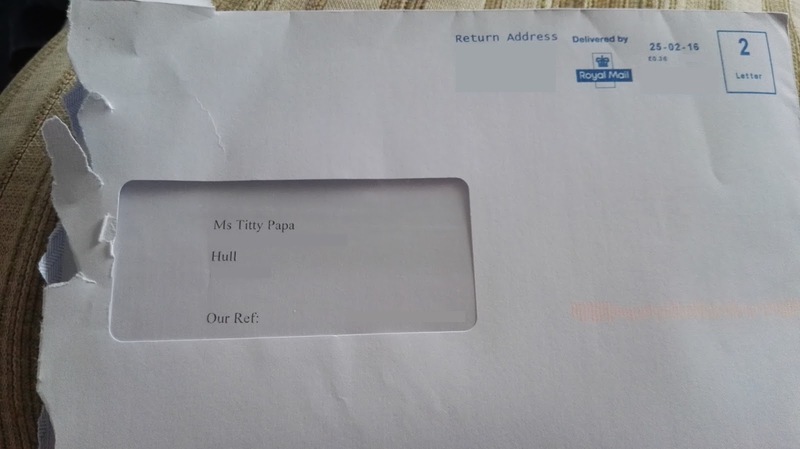 Got a letter through the mail with someone elses name on it today. If you happen to know Ms T Papa (apparently she's claiming for PPI) please let me know and I'll forward the letter on. Um...I think I'm a tad too far away lol. Out of all the houses in Hull I wonder why postie decided to deliver it to you?